The Squad is coming to LEGO Batman 3: Beyond Gotham today, though comic fans might be more familiar with them as "the Suicide Squad." The expected villains are all here, their team name has just been renamed to fit the family-friendly atmosphere of the LEGO games. 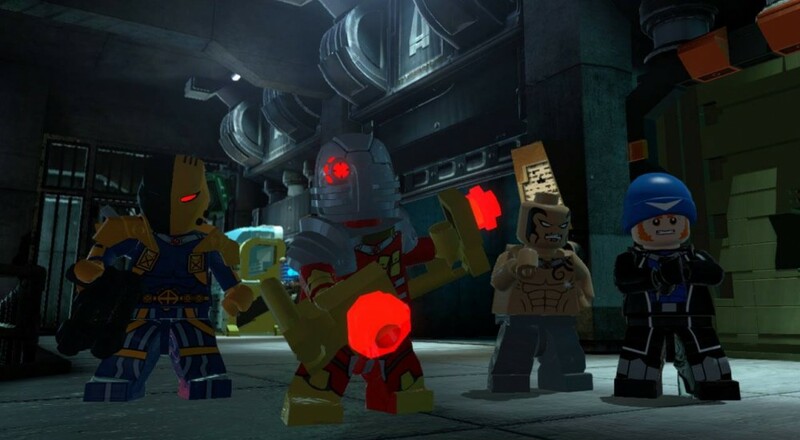 The last installment of the season pass for LEGO Batman 3: Beyond Gotham, the Squad Pack adds Amanda Waller, Captain Boomerang, Deathstroke, King Shark, El Diablo, Katana, and Deadshot as playable characters to the game. A new version for Harley Quinn is also included. Dropping today on all of the game's platforms, the Squad Pack will also introduce new missions and vehicles. For players that don't have the season pass, they can pick up this DLC for $2.99. In other news for players, another DLC is also on the horizon - this one completely free. Entitled Heroines and Villainesses, six new playable characters will be added to the game: Killer Frost, Plastique, Vixen, Starfire, Terra, and Raven. It will be available for PS4 and PS3 on March 31st while Xbox One, Xbox 360, and PC gamers will just have to wait one day longer to get it on April 1st. LEGO Batman 3: Beyond Gotham supports 2 players in local co-op play for Xbox 360, Xbox One, PS3, PS4, PC, the Wii U, and 3DS. If you missed our recent review of the game, we gave it a 3 out of 5, finding it a decent installment to the franchise with some camera issues. Page created in 0.3518 seconds.